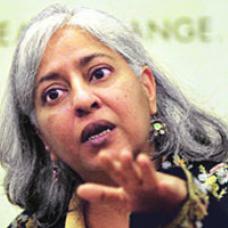 Radha Kumar, Director General of the Delhi Policy Group, is a specialist in ethnic conflicts, peacemaking and peace-building. Formerly Director of the Mandela Centre for Peace at Jamia Millia Islamia University (2005-2010), Dr. Kumar has also been Senior Fellow in Peace and Conflict Studies at the Council on Foreign Relations in New York (1999-2003), Associate Fellow at the Institute for War and Peace Studies at Columbia University (1996-8) and Executive Director of the Helsinki Citizen’s Assembly in Prague (1992-4). Dr. Kumar’s recent books include Negotiating Peace in Deeply Divided Societies (Sage: 2009), and Making Peace with Partition (Penguin: 2006).